On the 30th of March it’s International Open Hackerspace Day! And of course Pixelbar will also open its doors for everyone. Pixelbar can be found at the Vierhavensstraat 56 in Rotterdam in the building called Keilewerf 1. We are open from 11:00 until at least 17:00. During these hours we will show off our projects, and might even invite you to do some soldering, programming, hacking and/or play a game with our VR goggles. If you have your own small project, just bring it. There is plenty of room in our hackerspace to work on it. And if you really enjoy your time here, you can even become a member! In the evening there might be some participants left, so don’t hesitate to drop by if you don’t make it before 17:00. On our website pixelbar.nl you can see whether we’re open or closed. There is no need to sign up, just come by. When the outside doors are closed, just push the big red button on the door in the middle of the building and someone will come to open the door. When you can’t visit us on the 30th of March then you’re always welcome to visit us on Wednesdays or Saturdays, check on our website whether we’re open or closed. Op 30 maart is het International Open Hackerspace Day! En natuurlijk zal Pixelbar ook zijn deuren voor iedereen openen. Pixelbar is te vinden op de Vierhavensstraat 56 in Rotterdam in het gebouw genaamd Keilewerf 1. Wij zijn geopend van 11:00 tot minimaal 17:00. Tijdens deze uren zullen we onze projecten laten zien en jou uitnodigen om solderen, programmeren, hacken en / of een game spelen met onze VR-bril. Als jij jou eigen kleine project hebt, breng het mee er is namelijk genoeg ruimte in onze hackerspace om eraan te werken. En als je het echt naar je zin hebt, kun je zelfs lid worden! ‘S Avonds zijn er misschien nog wat deelnemers, dus aarzel niet om langs te komen als je het niet redt om voor 17.00 uur langs te komen. Op onze website [pixelbar.nl] (https://www.pixelbar.nl/) kunt u zien of we open of gesloten zijn. 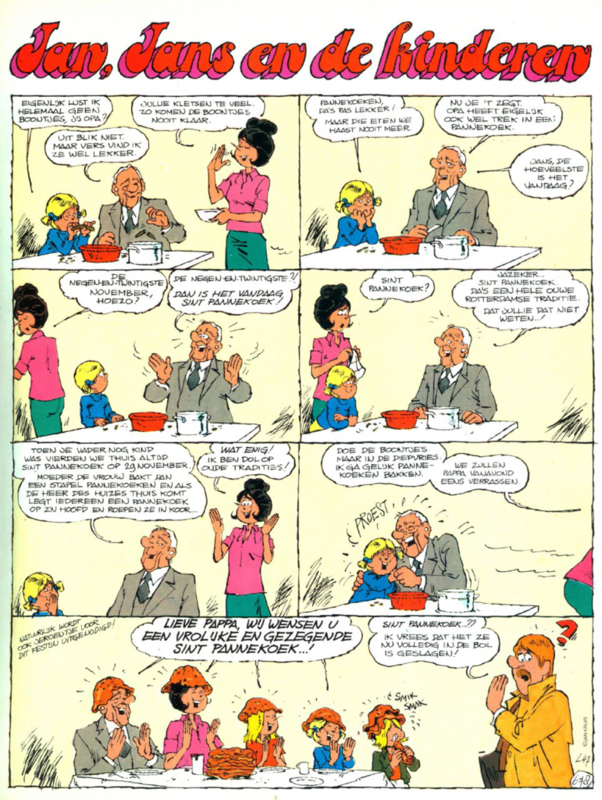 Het is niet nodig om je van te voren aan te melden, kom gewoon langs! Wanneer de buitendeuren gesloten zijn, drukt u gewoon op de grote rode knop op de deur in het midden van het gebouw en iemand zal komen om de deur te openen. Wanneer u ons op 30 Maart niet kunt bezoeken, dan bent u altijd welkom om ons te bezoeken op de woensdag- of zaterdagavonden. Wil je ook andere hackerspaces bezoeken? Bekijk de site van Nederlandse hackerspaces. Wil je helpen met deze open dag? dat is ook mogelijk! log gewoon in op de Pixelbar Wiki (vereist Spacenet-account). During Art Rotterdam, on the 9th of February the Keilewerf will open its doors. It the breeding ground for creative entrepreneurs in Rotterdam, divided over 2 buildings with a total of 6000m2. The Keilewerf is a place for steelbenders, artist, furniture makers, musicians and ofcourse hackers. Pixelbar is located in The Keilewerf, so we’ll be opening our doors to the public too! You can find us at the Keilewerf 1 and visit us from 13:00 until at least 17:00. During these hours we will show off our projects, and might even invite you to do some soldering, programming, hacking and/or play a game with our VR goggles. If you have your own small project, just bring it! There is plenty of room in our hackerspace to work on it. And if you really enjoy your time here, you can even become a member! In the evening there might be some participants left, so don’t hesitate to drop by if you don’t make it before 17:00. On the top of this page you can see whether the space is opened (or simply ask us in our chat). There is no need to sign up, just come by. When the doors are closed, just push the big red button on the door in the middle of the building and someone will come to open the door. When you can’t visit us on the 9th of February then you’re always welcome to visit us on Wednesdays or Saturdays, check on our website whether we’re open or closed. 29 November Happy Sint Pannekoek! The 29th of November it is a party once again! Just like last year, we will be celebrating Sint Pannekoek with everybody starting at 19:00, with lots and lots of pancakes and friends! Please give us a heads up if you like to join (so we can go grocerie shopping only once :)) on to our Slack or IRC. Last year we baked pancakes for about 4 hours, Everyone really enjoyed eating pancakes and placing pancakes over their heads. Sounds strange doesn’t it? Well, it’s a very old Rotterdam tradition and we’d like to celebrate it by basically eating lots of pancakes. Yep. It’s the best tradition there is. And nobody will ever change our tradition. PS: help baking pancakes is very welcome! 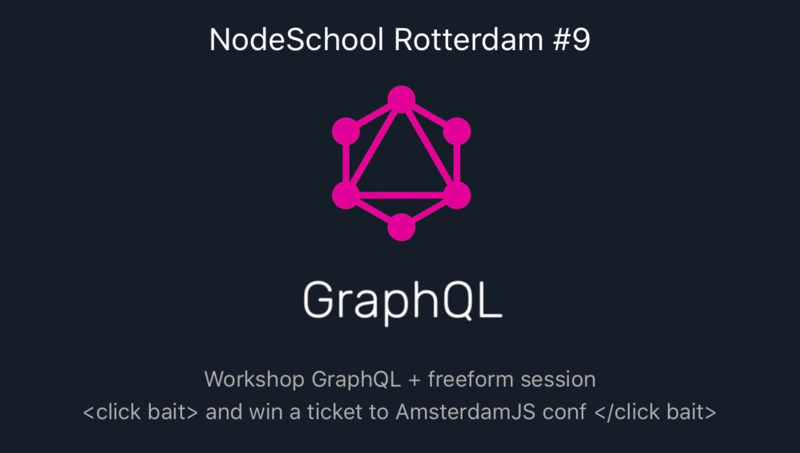 Join NodeSchool #9 and win a ticket to AmsterdamJS! It’s been a while, but we’re back! Our space had some renovation, which now allows us to do a workshop downstairs and a freeform upstairs if you want. Instead of creating a traditional API using REST (a way to create a webserver and serve data to a website), we’ll be looking at GraphQL. This is a technology that has been picked up by larger companies, which allows you to do actual quering of your data. Don’t worry if you didn’t really get that! We’ll be able to help everyone out, whether you’re a beginning with programming or somebody that already start doing NodeJS development. Want to show of your project? Or need help with your project? It doesn’t need to be related to GraphQL - but that would be nice. Talk, learn and do projects with others. It’s finally ready you guys: our first floor! And we’re celebrating this by throwing a party… a next level partehhhh. Never been to our space? No problem! You are more then welcome. We have beer and some snacks, and if you have friends, then they’re welcome too. And don’t forget to bring your cyber too. Come celebrate the 1st floor with us. PS: only nice and friendly people allowed.